Frozen vegetables have a bad reputation for being bland, low quality and less nutrient dense than their fresh counterparts. However, when prepared correctly, frozen veggies can be delicious and nutritious, and allow you make a homemade meal in minutes. Insofar as certified gluten-free brands of frozen vegetables go, I have yet to find one at a grocery store near me. 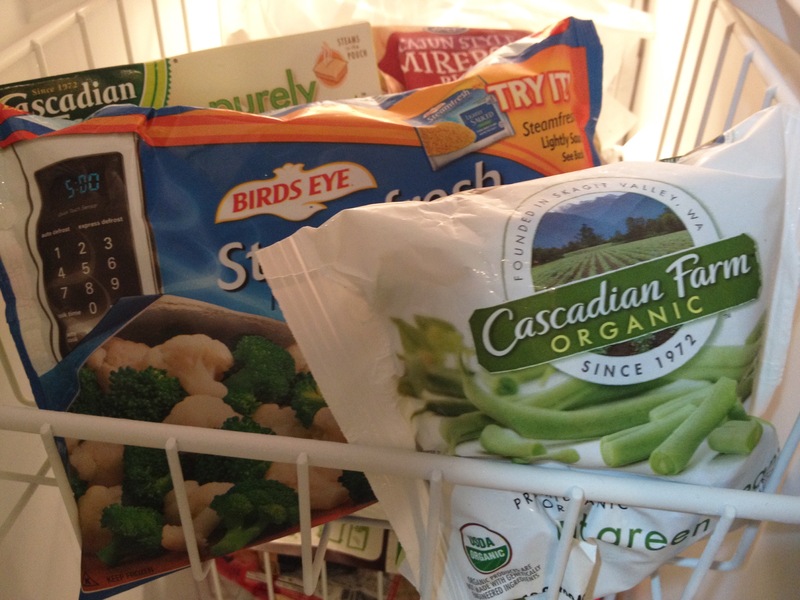 The major national brands, such as Bird’s Eye, Green Giant and Cascadian Farm Organic, along with store brands from Kroger, Whole Foods Market and Trader Joe’s all have frozen products with gluten in them and the frozen vegetables are likely produced in the same facility. Earthbound Farm Organic is the only one that I have found that does produce almost all of its frozen line in a gluten-free facility. The exception to that is their roasted potatoes. I have personally reached out to Kroger and Cascadian Farm to check on the risk of cross-contamination. Both calls were long and drawn-out, and really not that productive. Both customer service representatives say they have no way of knowing the risk of cross-contamination because they do use gluten products at almost all their facilities. I have not tried to contact Bird’s Eye or Green Giant, but I would expect similar results. Whole Foods Market declares on the label of many, if not all, of their frozen vegetables that they are produced in the same facility as wheat. Trader Joe’s website has its frozen vegetables on their “contains no gluten ingredients” list, but I cannot find any claim about their manufacturing and packaging processes. That being said, I have eaten frozen vegetables from Bird’s Eye, Kroger Earthbound Farm and Cascadian Farm for years without experiencing a problem. I do, and recommend if you suffer from celiac’s disease or a severe gluten allergy do as well, follow one rule: I make sure the only ingredients listed are vegetables. You never know with sauces and seasonings, despite how enticing some of them may sound. Other things I look for are trying to buy organic and non-GMO when possible. But as with all my grocery shopping, sometimes it ends up being a matter of availability, price and convenience. Now how to use those frozen veggies once you got them! My favorite way to use them is in soups and stews. Putting together a quick soup can take only a few minutes using frozen veggies since you do not have to clean or chop them. I have recently discovered that Kroger has a mirepoix blend of veggies (celery, carrot, onion) and a cajun mirepoix (celery, green pepper, onion) that make great bases for soups. 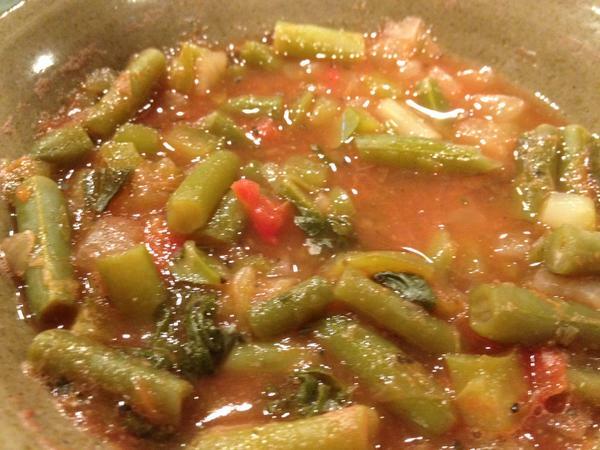 A fall favorite of mine is green bean and tomato soup. It takes only 5-10 minutes to prepare using a bag of the cajun mirepoix, frozen cut green beans, canned tomato puree, fresh spinach and italian seasoning. I have found one way to ensure flavor when cooking with frozen veggies is to allow for a longer cooking time. Having a soup or stew simmer for an hour or more allows the veggies to absorb the flavor you are adding to them. And, as with almost all ready-to-eat meals, I always add something fresh to give it a little brightness. Fresh greens or a squeeze of lemon or lime juice can go a long way in bringing those veggies back to life. I also use frozen vegetables as a convenient side. Nothing beats throwing a steamer bag of frozen vegetables into a microwave and having them ready in minutes. Especially when you add your own seasoning and sauces, they can make a really healthy side. I advise when using microwavable vegetables to choose the steam varieties. They tend to be less watery than the traditional varieties. My fiance and I rely on Bird’s Eye Steamfresh broccoli and cauliflower paired with veggie burgers for a quick and easy supper… sometimes a little too often. So, do not feel bad if you need to use frozen vegetables. Whether you are short on time, feeling lazy or want an easy way to add more vegetables to a dish, there is nothing wrong with getting assistance from the frozen aisle. Be creative! You never know what you might come up with, and you might be surprised how good those frozen veggies can taste.